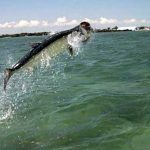 What can you say about Tarpon fishing in this little piece of the world we call paradise other than “WOW”! 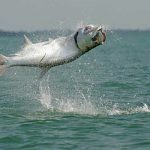 The Florida Keys offers some of the best tarpon fishing in the World! This type of fishing will truly wear an angler out! When the fish migrate into the warm waters of the Keys, they come in a hurry and they are big! It is a common site to see fish over 100 lbs. swimming and rolling right around your boat. And don’t worry, because most of these fish are not alone! They are surrounded by a school of big fish as well! This is where we come in! Catchalottafish Charters will put you on the fish, and do whatever it takes to ensure that you get your trophy! 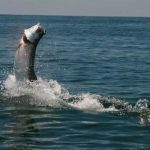 Tarpon fishing is truly the sport for all sportsmen, and is something that every angler should experience at least once in his or her lifetime. So, come on down to the beautiful Florida Keys and Let Catchalottafish Charters show you the fishing excitement you have always dreamed of!